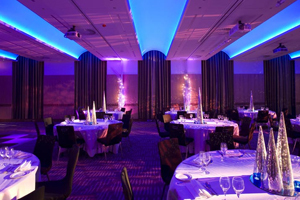 Illuminate @ Prospero House has hosted more than 2,500 event delegates in its first month of business. Etc Venues opened the event space next to its existing London Bridge property Prospero House in September following the £600,000 refurbishment of a former post office. Clients have already used the venue for drinks receptions, team away-days, and training programmes. Etc Venues marketing manager David Owen said: "Expanding into event spaces having built our reputation in training venues has been a bold move for Etc Venues - and the results have been fantastic." The venue has a capacity for 300 and is linked to Prospero House, but has its own entrance and registration area.